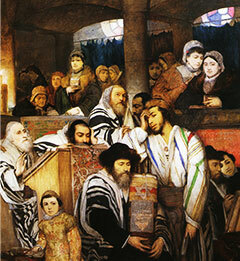 JGB in cooperation with the Ad Hena Center has launched a new academic multidisciplinary program at the Herzog College, , which provides a broad and in-depth training program for the study of the Jewish heritage of Galicia and Bukovina from the sixteenth to the beginning of the twentieth century. The Research Project on Galician and Bukovinian Jewry (University of Haifa) with the support of the Jewish Galicia and Bukovina Organization launched a new program of scholarships and excellence prizes . In the village of Chornohuzy next to Vizhnitsa there is one of the largest Jewish cemeteries in Bukovina – a cemetery where the Jewish residents of Vizhnitsa (Wiznitz) used to bury their dead from the 1860-s…. At the Jewish cemetery in Buczacz, the gravestone of Esther Czaczkes (Farb) - the mother of Shay (Shmuel Yosef) Agnon was discovered. The exciting discovery was made as part of the research and documentation project of the JGB organization by the annual expedition staff that worked this summer (August 2018) in Buczacz. New on-line course "Jews of Galicia: A History"
In the aim of widening the circle of students and non-academic audiences interested in Jewish history in Galicia and Bukovina, we are in the process of creating a series of online courses available for people all over the world. The first online course titled "Jews of Galicia: A History" is given by Prof. Joshua Shanes (College of Charleston, USA)/ It was made in collaboration with The Research Project on Galician and Bukovinian Jewry at Haifa university. The course surveys the establishment, flourishing and destruction of this once vital community by examining its social, economic, political, religious and cultural history from the eighteenth century – the time of the province's creation – to the Holocaust. During the past summer, we returned to Galicia, to the Tarnopol region. 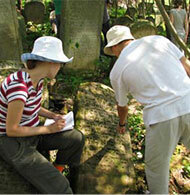 The 8th annual delegation of the JGB Organization began the work of documenting the ancient Jewish cemetery in Buczacz, S.Y. Agnon’s home town. 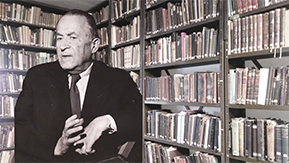 This cemetery holds a special place in those of Agnon’s works devoted to his home town. It symbolizes the continuity of generations in the city and is an important component in the special Jewish space in which the plots of his many stories take place. A session called “The Legacy of Galician Jewry: Research and Resources” was held by the Research Project on Galician and Bukovinian Jewry which was established by the JGB Organization in Haifa University. פרויקט יהדות גליציה ובוקובינה מתעתד לשמר את המורשת העשירה של עולם יהודי פורה בגליציה ובוקובינה שאיננו היום. מטרתנו להקים מאגר מידע אינטרנטי של מסמכים היסטוריים ועדויות מוחשיות למורשתם התרבותית של יהודי חבל זה. באמצעות אתר זה אנו מקווים להפוך מורשת עשירה זו לנחלת הציבור הכללי לרבות קהילת המחקר הבינלאומית ההולכת וגדלה. רוב האתר כרגע הינו בשפה האנגלית ובעתיד אנו מקווים לאפשר חלקים נוספים בשפות שונות.